Krakow is by no means a jewel in isolation. And whilst the countryside may have taken something of a tumble since the inter-war years, there are still pockets of outstanding beauty. Small towns too, can yield unexpected treasures. So if you plan to stay more than a couple of nights in the city, it's well worth considering an adventure further afield. One of the most famous destinations near Krakow is Wieliczka, home to the ancient and mysterious salt mines. These fantastical chambers, which are riddled with beautiful chapels, have been under the banner of UNESCO since 1978. Half an hour's drive from the city centre is the lush valley of Ojcow, the whole of which is protected as a national park. It's a very idyllic place, with ruined castles and villages full of quaint wooden houses. On an altogether different plain, a Stalinist promised land can be explored at Nowa Huta. This is one of only two existing Soviet ideal cities and a fascinating window onto that era. Two towns relatively close to Krakow and worth checking our are Katowice and Tarnow. Tarnow boasts many Renaissance-era treasures, while Katowice, once an industrial stronghold, now offers plenty of concerts and festivals year-round. 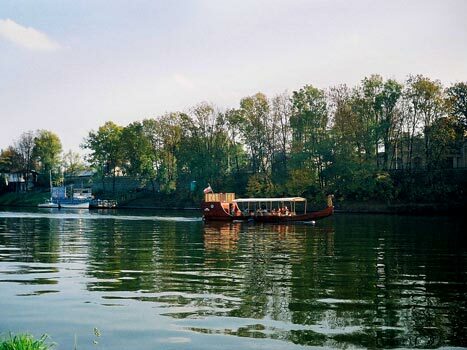 Both are within an hour and a half by train from Krakow and make very pleasant excursions. We highly recommend taking a day trip to Zakopane for snowmobiling if you have the time! I think Ojcow is very pretty. Outstanding even. But they've stopped running buses there? Why...?! That's a beautiful picture - lookks like King Artur! We booked a trip to the Ojcow Park through krakow-tours.com -- a young man named Bartyk was our guide. It was a pleasure to spend the afternoon with him.